The People’s Democratic Party, PDP have been declared winners of 13 local government chairmanship seats by the Taraba State Independent Electoral Commission. Philip Duwe who is the Chairman of the Taraba commission, announced the results in Jalingo on Sunday. The PDP won all the local government chairmanship and councillorship seats in neighbouring Gombe State. The party won the two parliamentary seats in the rerun election in Rivers State. The Jamaican gold medalist, Usain Bolt turned up at a Carnival in Brazil . He was covered with colors, hot chicks grinding on him. This General Overseer has been convicted and on death row. 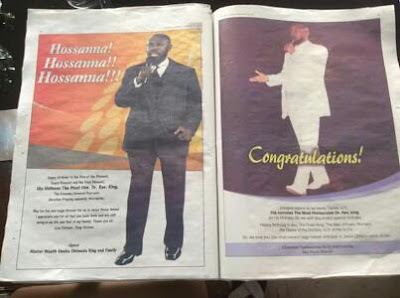 but members of his church placed a 13-page newspaper advert to wish him a happy birthday. 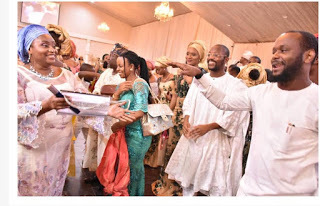 Senate President, Bukola Saraki was on Saturday conferred with a traditional title, Dikko of Potiskum by Emir of Potiskum and Emir Fika, who both presented him with horses in recognition of passage of NE Bill in Senate. Three members of the Boko Haram suspected were arrested in Gombe State, the Nigerian Army said. 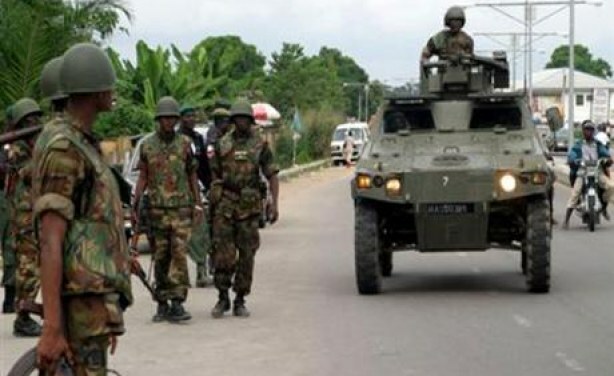 The Army spokesperson, Sani Usman, said three Chadians were arrested in Gombe State. “The three Chadian suspects, Bilal Muhammed Umar, Bashir Muhammed and Muhammed Maigari Abubakar were arrested at Arawa and Mallam Inna Areas of Gombe metropolis,” the brigadier general said. “They were reported to be members of Albarnawi faction of the Boko Haram that operates in Chad and mostly northern part of Borno State but came to Gombe State for another heinous assignment.”. Mahershala Ali WINS 1st Oscar, Best Supporting Actor! 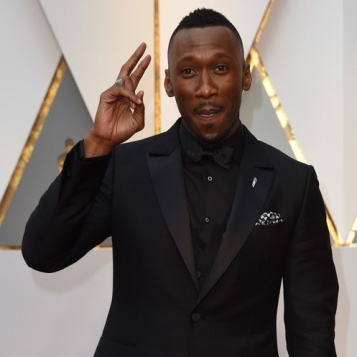 New dad Mahershala Ali is officially the first Muslim actor to win an Academy Award. The 43-year-old thanked his teachers, his manager and his co-stars. "I want to thank my teachers...they taught me it's not about me, it's about the characters. The characters I'm in service to." He thanked his wife and mentioned their first child. "I want to thank my wife, who was in her third trimester this Award season. We just had a daughter [Bari Najma Ali] 4 days ago." 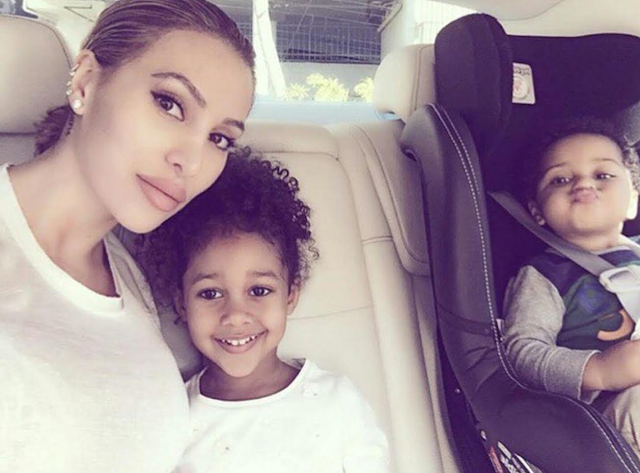 NFL's Reggie Bush's Kim Kardashian look-alike wife, Lilit Avagyan, his look-alike North West daughter-Briseis Avagyan Bush, and his son, Uriah Bush, stun in new photo. 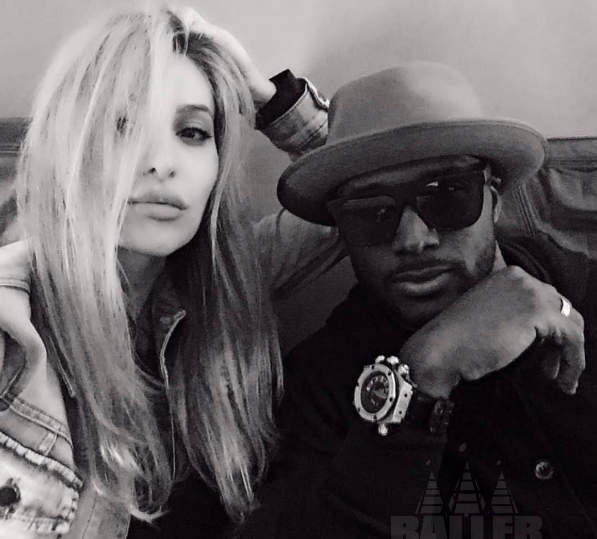 Reggie Bush is Kim K's ex-boyfriend. 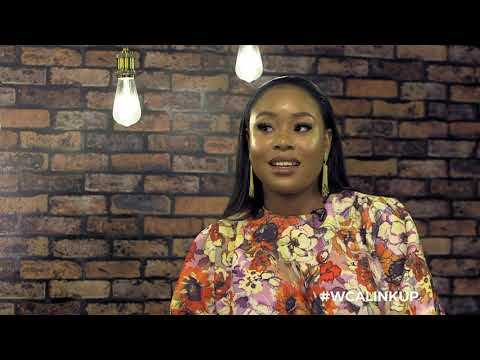 Nwantintin things....... Dandel, a 28-year-old garage mechanic in Indonesia, fell in love with Martha Potu's voice he decided to put a ring on it. Newly Recruit Nigerian lady .Deborah Johnson who had her secondary school education at the Royal Crown High School in Iju Ishaga, Lagos before embarking on her journey to foreign land and joined the US Army said; "It was a tough decision for her deciding to be in the active duty, but after she sworn, she knew she was in, no going back and she don't regret it." 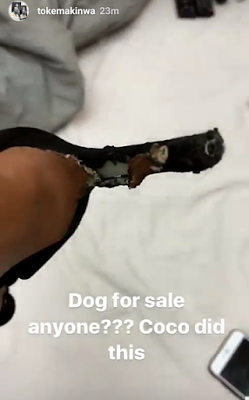 When rapper AKA announced them two broke up on twitter D'banj ex SA didn't buy it and he later confessed it was just a publicity stunt to push new music. Janelle Monae @ The Pre-Oscar Party Scene In L.A.
Janelle Monae rocked a colorful floral Reem Acra dress with Christian Louboutin sandals. Nicki Minaj rapped on Gucci Mane’s “Make Love” track and threw shade and subliminals at Remy Ma. Nicki Minaj hopped on Gucci Mane’s “Make Love” track and threw tons of shade and subliminals at Remy Ma. Now, Remy is responding and she straight ethers the Young Money rapper. Then, Remy went in on Nicki for allegedly getting a** shots. Remy then dropped bars about chatting it up with Nicki’s ex-boyfriend Meek Mill during the NBA All-Star festivities last weekend. She's responding and she straight ethers the Young Money rapper. Rapping over the beat of Nas’ 2001 Jay Z diss “Ether,” Remy fired several shots at the Queens rapper. Remy then dropped bars about conservation with Nicki’s ex-boyfriend Meek Mill during the NBA All-Star festivities last weekend. Paul Anderson Damisa of Lazywrita was spotted at the opening of 6IX restaurant took place on the 15th of January 2017 in Victoria Island, Lagos. Oba of Lagos, Oba Rilwan Akiolu, vowed to work against any corrupt individual from emerging the President of Nigeria, support for the present leadership of EFCC. At the inauguration of Nigerian Women Against Corruption Initiative at the Haven Event Centre, Ikeja, calling mass action against corrupt leaders. He is planning to come back to be the President of this country again. I will work against his ambition. I mean it and I mean it. By God’s grace, it shall not be so,” the monarch said. .
Akiolu canvassed support for the EFCC Chairman, Mr. Ibrahim Magu, noting that it was absolutely necessary for all to support the fight against graft and stop corrupt leaders from emerging Nigerian president. . 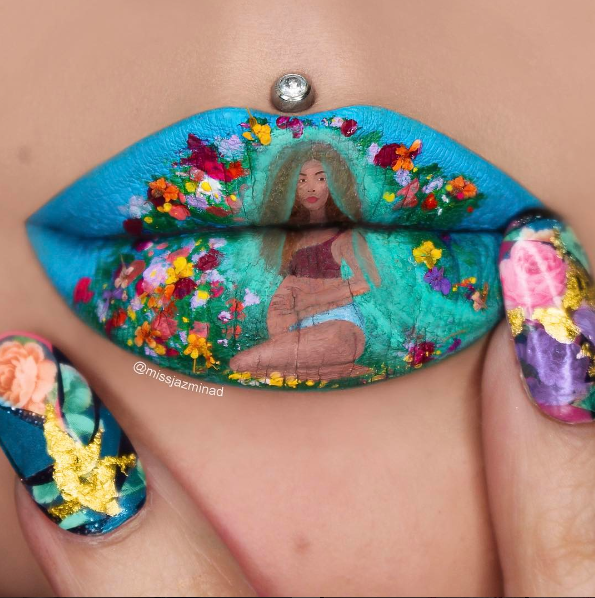 This is genius by MUA Jazmina Daniel. Lekan the Kid Barber who has a dream to give Adekunle Gold a hair cut has been given a scholarship by a non-governmental Organization. He took to his instagram page to express his gratitude. 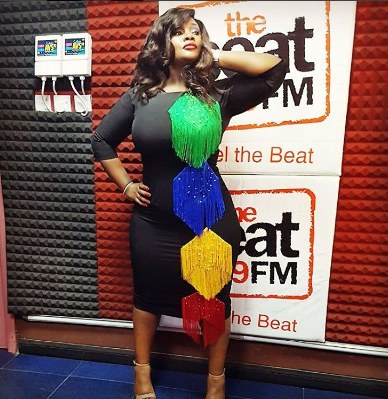 This black Makioba gown with colourful frills looks BOMB on her. Lovely! FCMB to their official Facebook page to make this announcement. Effective March 20th, 2017, Ladi Balogun, having served as Group Managing Director of the Commercial Banking arm, FCMB Limited for 10 years, will be stepping down in this capacity. He will assume the role of Group Chief Executive of the holding company, FCMB Group Plc. The holding company comprises FCMB Limited, FCMB Capital Markets, CSL Stockbrokers and CSL Trustees. Mr Balogun will be succeeded as Managing Director of FCMB Limited by Adam Nuru, who is currently the Executive Director in charge of Business Development for the bank.